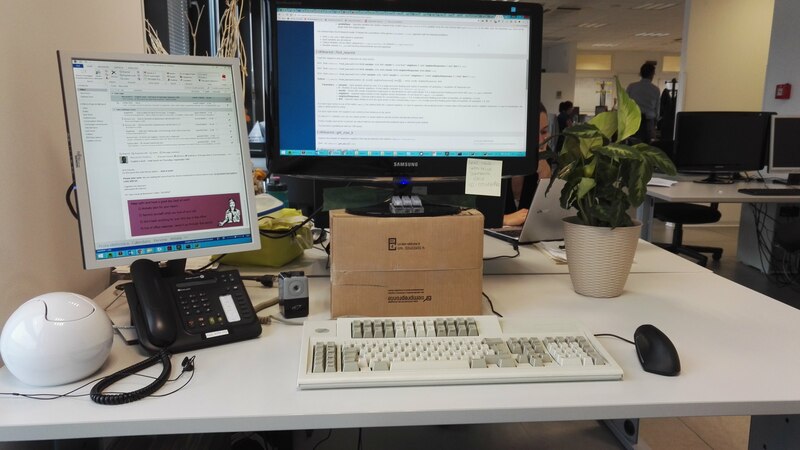 Leftside: Lenovo gaming laptop, equipped with a ViewSonic IPS monitor, an IBM Model M SSK keyboard, an auxiliary IBM (Model M) 4704-Model-100-like keypad and a Logitech G700s mouse (actually mine, on loan until the mouse he wants arrives). Rightside: my father's hand-me-down 2009 iMac (on which my son watches YouTube and/or Netflix), equipped with an Apple M0110A keyboard, which my kid demanded in replacement of the hideous Apple Magic Keyboard the iMac came with. Notice the proper placement of the latter keyboard on the bottom of the picture. My son's dual setup is actually better than mine (except for the lack of an F122, of course). Last edited by alienman82 on 02 Mar 2018, 04:07, edited 1 time in total. You donate / lend / loan your Cherry 5000 to your dad?! I gave my dad a black space invaders board to use as he got tired of the dell rubberdome he had been using for 4 years. Lol, love the Apple keyboard placement. Finally, I don't use it, because I don't want people to call me an Apple fanboy, which I find downright insulting! Left my desk in its messy state as to not misrepresent how it looks day to day. This is how I use it about 75% of the time but it is a standing desk on top of an ikea desk so I raise the standing desk for an hour or two near the middle of the day to get some leg circulation on. As you can also tell the studio microphone and the acoustic foam, it is for a podcast which I am working on. Unfortunately I haven't had much time so there are only 2 episodes out. Sweet looking keyboards. 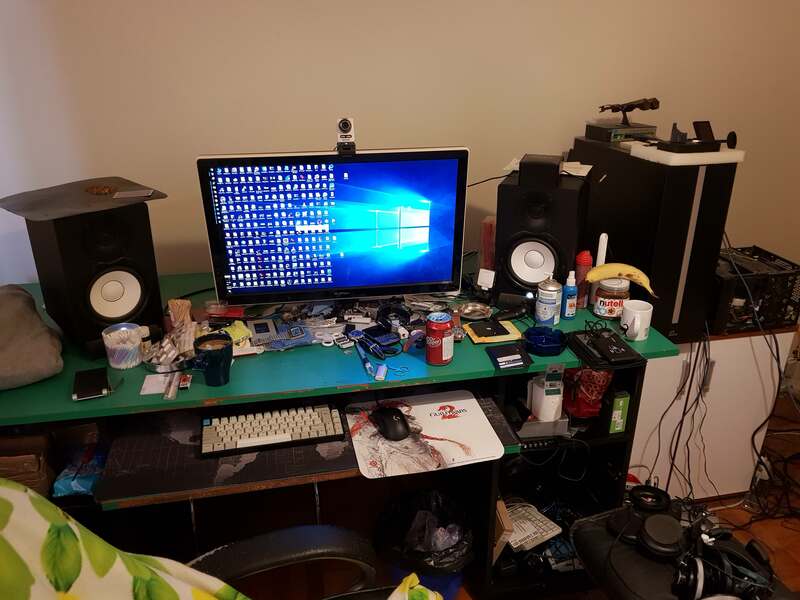 What's the orange block in top right corner of the desk? tobo wrote: ↑ Sweet looking keyboards. 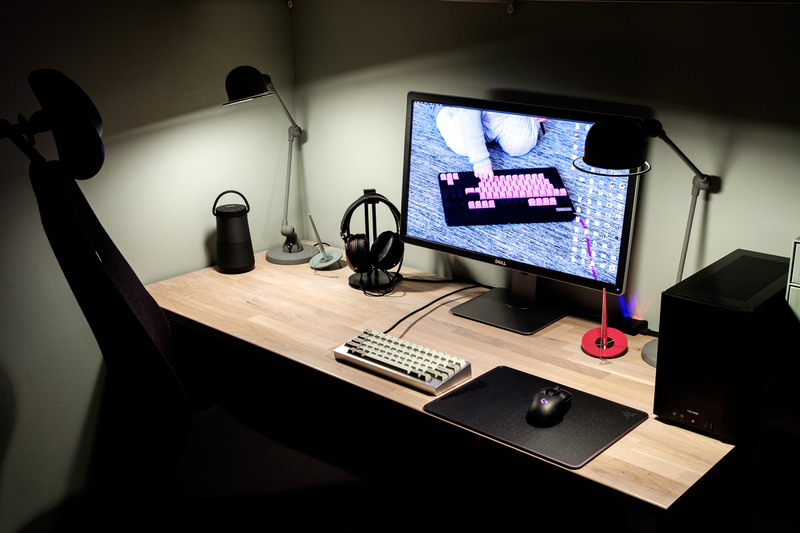 What's the orange block in top right corner of the desk? Thanks, the orange rectangle is a bluetooth speaker from "Dylan" they don't seem to exist anymore from what I can tell. 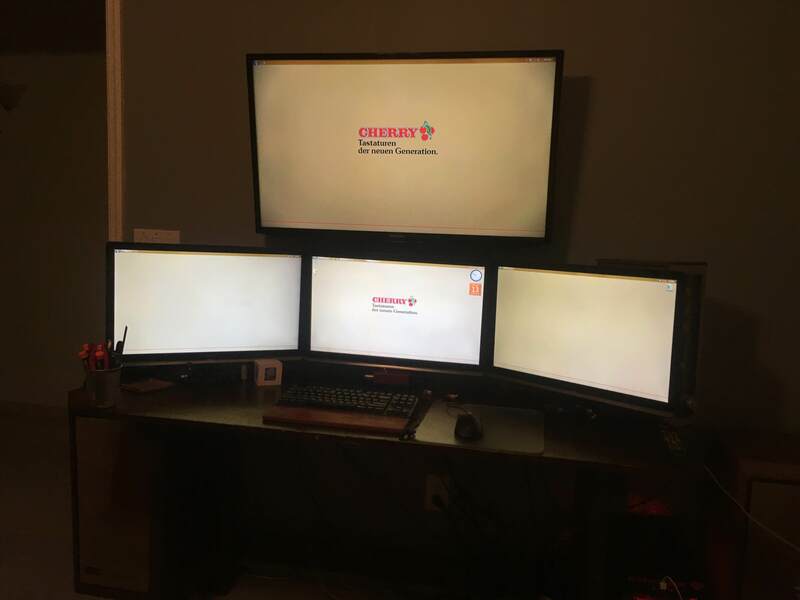 Nice, but needs a third monitor and a side keypad. You know which one. depletedvespene wrote: ↑ Nice, but needs a third monitor and a side keypad. You know which one. 171, now that's a sweet number! Did someone say messy desk ? Finally cleaned off my desk, it's been a long time coming. Here, have some pics. 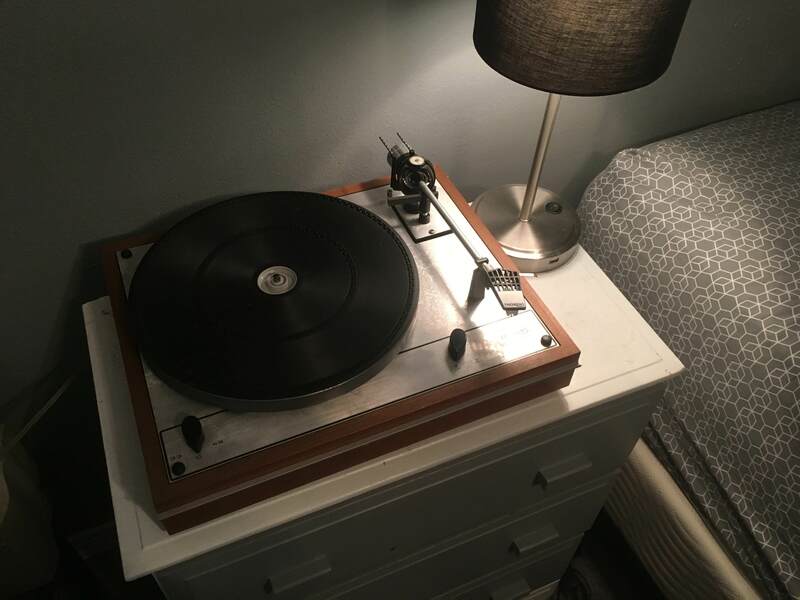 My current setup which I put together from scratch over the past month. Still have some odds and ends left to finish though. Cable management tray and equipment rack. Rack includes a UPS, custom built Supermicro NAS, 12 port Cisco switch, PFSense firewall, and secondary desktop / hackintosh. 20 year old Herman Miller Aeron chair I refurbished from my office's collection of broken chairs. JP! 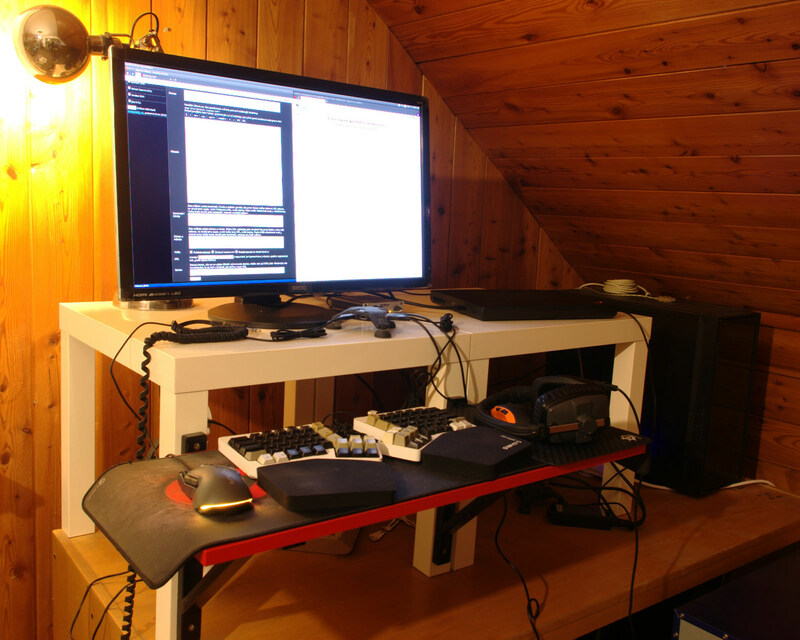 wrote: ↑ My current setup which I put together from scratch over the past month. Still have some odds and ends left to finish though. This particular picture of the F107 makes me wonder how well would an F107 + roller mouse combo work. A 122 ( and therefore a 107 is wider than a rollermouse). Nice which headphones are those? And which stand? Looks sleek. Thanks, those are a pair of Fostex TH-X00 Purpleheart, some Fostex and massdrop collab. The stand is some cheapo thing I found while browsing the web for something else. Says just mobile on it. 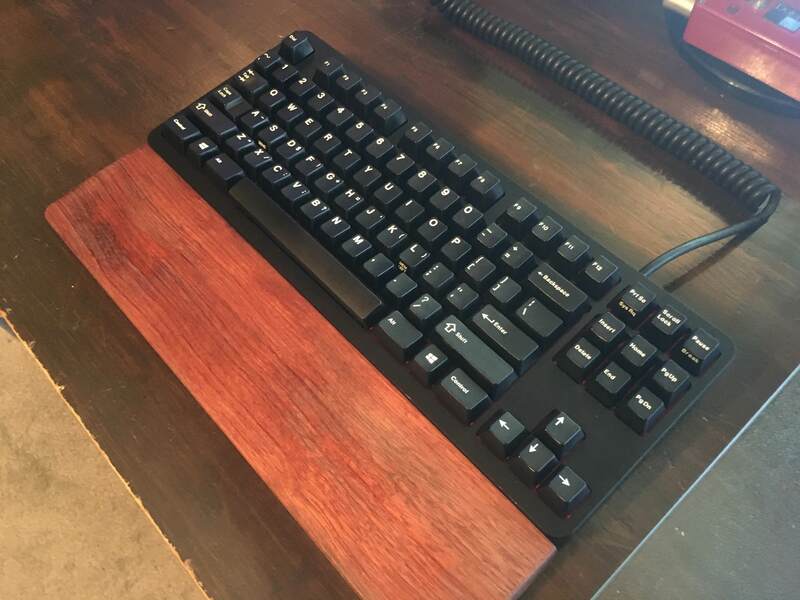 That is a really nice HHKB, what case is it? @cookie: Thanks! chip chop is correct, it's a HHKB-layout X60. Decided to harvest the switches then ANSI-ed my Unitek K-156. Man, how I miss having a bigger table.